Cadence Sinclair Eastman, heiress to a fortune her grandfather amassed “doing business I never bothered to understand,” is the highly unreliable narrator of this searing story from National Book Award finalist Lockhart (The Disreputable History of Frankie Landau Banks), which begins during her 15th summer when she suffers a head injury on the private island Granddad owns off Cape Cod. Cady vacations on Beechwood every year with her mother, two aunts, and—most importantly—the other liars of the title: cousins Mirren and Johnny, and Gat Patil, the nephew of Aunt Carrie’s longtime boyfriend. 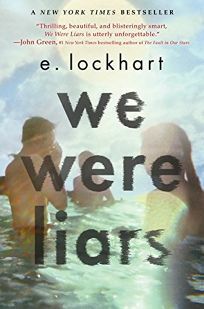 The book unfolds two summers later, with Cadence trying to piece together the memories she lost after the accident while up against crippling headaches, a brain that feels “broken in countless medically diagnosed ways,” and family members who refuse to speak on the subject (or have been cautioned not to).